As we celebrate our teachers during Teacher Appreciation Week is is important to remember the other staff in the building that makes our children’s education strong as well. Here are some tips for thanking all of your non-homeroom teachers and school support staff this year. These “teachers” deserve a big thank you for being part of your child’s educational community too. Although you could purchase a small gift or write a card for each of these individuals, it may be easier to connect with other parents at your child’s school and pool your resources. 2. 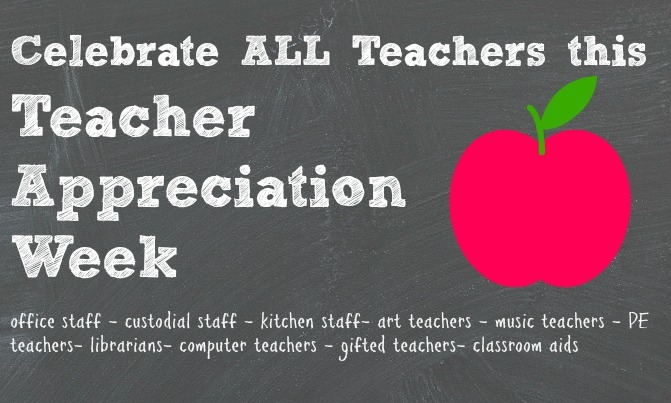 Send in food for a teacher appreciation brunch or breakfast. 3. Send in a bowl of candies or fruit with a sign of appreciation to all. 4. Collect $ and gift cards and distribute. Asking parents and families to contribute $5-$25 to purchase gift cards for the teachers and staff without a homeroom can be an effective way to provide each of these non-homeroom teachers and school support staff with a little gift of gratitude. These donations may be requested from homeroom parents through an e-mail or in a school approved paper flier home. Often the PTA will assist in organizing this. 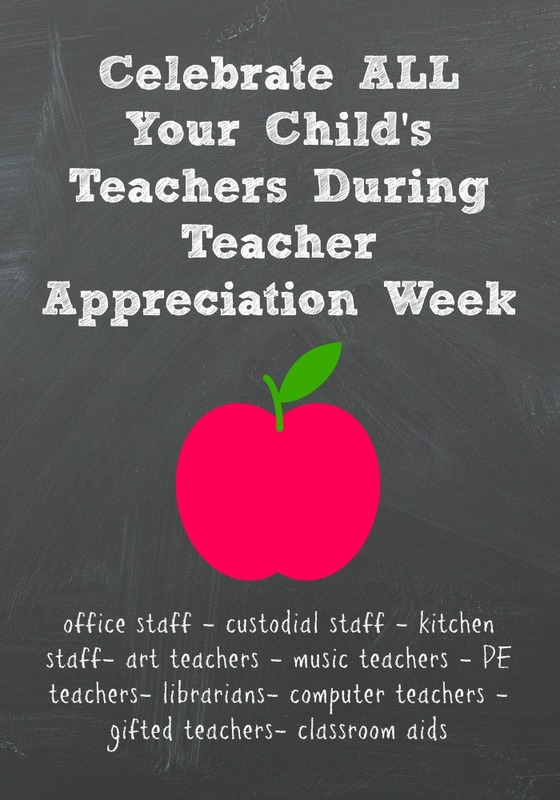 Teacher Appreciation Week – YES We Appreciate You! We value and recognize the time and commitment you are making to our children. Follow The Educators’ Spin On It’s board Gifts for Teachers, Friends & Family on Pinterest. The Best Teacher Gifts: A list of REAL gifts teachers loved.